With more than thirty years experience in the real estate industry, CNA Enterprises has developed an organization that is well-suited to operate in today's competitive environment, capitalizing on its extensive relationships with various financial institutions, property owners, real estate brokers and investors, under the guidance of experienced leadership. CNA's team of real estate professionals offers significant expertise in real estate acquisition, operation, finance, and disposition, providing the company's clients with a high level of sophisticated service and allowing the company to act swiftly and decisively to capitalize on investment opportunities. Arnon Adar has been extensively involved in real estate and finance since 1976, originating more than $3 billion in transactions, and organizing several high-tech venture capital groups, bringing some to IPO status. Mr. Adar established CNA Enterprises as a real estate investment and advisory firm with a primary focus on direct equity investments of grocery-anchored shopping centers and regional power centers across the United States. As President and CEO, he oversees the company's ongoing operations, as well as its long-term vision. This vision includes the development and implementation of investment strategies which define the structure and organization of the company's corporate culture. Prior to entering the real estate business, Mr. Adar served for three years in the Economic Affairs Office of the Diplomatic Corps. He is a graduate of the University of Southern California. 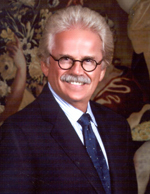 For more than thirty years, Mr. Adar has been an active leader in the Los Angeles community. He is a member of the United Jewish Fund/Real Estate & Construction Division, and he was nominated to the post of Commissioner for the California Citizens Compensation Commission by Governor Gray Davis. Driven by a desire to improve education for future generations, Mr. Adar served as a member of the Board of Trustees for Harvard-Westlake and was an original founder of the Crown Center for Middle East Studies at Brandeis University. In 2004, he received the Louis Dembitz Brandeis Distinguished University Fellow award from Brandeis. Mr. Adar is currently a member of the International Board of Trustees of Tel Aviv University, a member of the Founders Society of Hebrew University in Jerusalem, and a member of the Pacific Council on International Policy. Mr. Adar's passion for music has associated him with a variety of organizations and projects, which include serving as a member of the Executive Board of Directors for the Los Angeles Opera and The Founders for the Performing Arts Center of Los Angeles County and being a member of the West Coast Council of the American Friends of the Israel Philharmonic Orchestra. Committed to supporting medical research and development, Mr. Adar is a member of Cedars-Sinai Medical Center's Executive Cabinet Committee and a member of the Board of Governors of Sheba Medical Center in Tel Aviv. In 2008, Mr. Adar and his family founded The Adar Family and Friends Research Institute for Eye Disease at Brandeis University. Working in conjunction with the Jules Stein Eye Institute at UCLA and the Goldschlager Eye Institute at Sheba Medical Center in Israel, these researchers strive to develop more advanced treatment protocols for a variety of eye diseases. Mike Tantraphol is responsible for CNA's financing activities, including lender relationships, capital structuring, financial analysis, and the review of potential investments. Before joining CNA, Mr. Tantraphol served as an Investment Officer and Asset Manager for American Realty Advisors, and was responsible for originating and closing equity transactions, managing direct assets, joint venture partnerships and mezzanine borrowers. Mr. Tantraphol is a graduate of the University of California at Los Angeles, where he received both his Baccalaureate and his MBA.